Army of Dub…..with tracks by….Wolfgun, Phrenik, Synops, ShoKKPoynT, Faderhead, Camzify, King Opossum, Neurosignal, Ricky Raw, Mantis. Dub Tribe…with Tracks by….. Banda Zafenate, Dubmatix, Ranking Joe, King Opossum, Payoh Soul Rebel, Dr Remix, Tribal Soup, Negritage, Mexican Stepper, Yabass. 18:22 Bitbird, by Dr Remix. Amsterdam, Netherlands. [Soundcloud]. Dub 66…..with tracks by….Nit Grit, Liquid Stranger, Glebstar, Tribal Soup, King Opossum, The Digital Connections, Blake, Addergebroed. Dub Medicine…with Tracks by….. DJ Mike Native, King Opossum, The Dub Oracle, Batard Tronique, Black Dubber, Ben I Sabbah, Wise Rockers, Negritage. 00:00 Push Push, by DJ Mike Native. Dorking, England. Back To The Mother Ship…with tracks by…..Dub Addiction, Kampuchea Rockers Uptown, Lidsky, Jacco Gardner, The Black Angels, The Stevenson Ranch Davidians, Globular, King Opossum, Master Bassers, Soulular, Velociraptor, The Warheads, Hollie McNish, Ashley, The Ska Vengers, Emperor Minge. 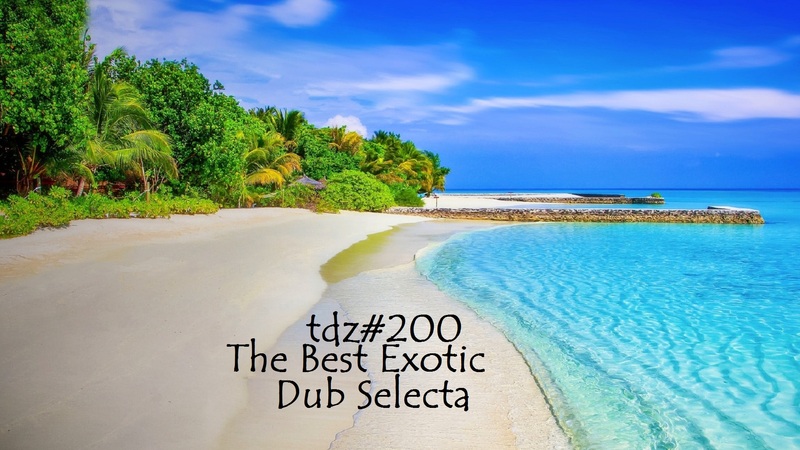 6th Anniversary Dub Selecta…with tracks by…King Zac Lee, Hechoamano, Mind’s Eye Dub, The Dub Dragoon, Alien Tekh, Manwel T, Giant Panda Guerilla Dub Squad, King Opossum, Mathias Dubwise, Injham, Dubalizer, Zazen, Kyp Paraskeva, Incredible Dub Machine, DubRaJah., Dreadsquad, Black Dubber, Hatman, Dubsalon, Alien Dread, Humano Espectral, Dub-I, DU3normal, Process Rebel, Dubstructor, Three Little Birds, Brass Wood & Wires, The Ambeintalist, Step High. 00:13:40 Love You More (Manwel T Mix), by Giant Panda Guerilla Dub Squad. Rochester, USA / Malta. 00:31:37 Jah Love Riddim (Sitar Cut) (feat Kyp Paraskeva), by Incredible Dub Machine. Nicosia, Cyprus. Rivers Of Dub …with tracks by…Manwel T, Brass Wood & Wires, Tsunami Wazahari, The Dub Dragoon, DJ Mike Native, Muflon Dub Sound System, King Opossum, Earlyworm , Luciano, Dubmatix, Lysergic Sound Dub. 11:49 Dubilitions, by DJ Mike Native. Dorking, England. The Power of Dub… Dub Charm…with tracks by… King Opossum, Earlyw~rm, Mind’s Eye Dub, Dubzoic, Ashley, Hotdrop, Mosienko Project , Analogue Mindfield, Incredible Dub Machine. 24:01 Downbeat Rebel in Dub (Mosienko Project Remix), by Analogue Mindfield. Dublin, Ireland. 28:02 Situation Dub, by Incredible Dub Machine. Nicosia, Cyprus. Grumbledown Farm!….with tracks by….Soncall, David Starfire, Nicolas Repac, Secret Archives of the Vatican, King Opossum, Citizen Sound, The Easton Ellises, Natural Heights, Marla Mase, DYnASTY, Waitapu, Quanta, Le Sang, Trenchant Dubs, 311, Psymbionic,The Funnel Heads. Police State, by Citizen Sound. Toronto, Canada. With tracks by…Incredible Dub machine, Mind’s Eye Dub, Dubstructor, King Opossum, Dubasalon, Manudub, PhoniAndFlore, Natty-I. 00:00 Jah Love Riddim (Sitar Cut) (feat Kyp Paraskeva), by Incredible Dub Machine. Nicosia, Cyprus. Dub Street…With tracks by… King Opossum, PhoniAndFlore, GanjahBurnFyah, Hatman, Killasoundyard, Bombay Dub Orchestra, Phattyman, DuBology.